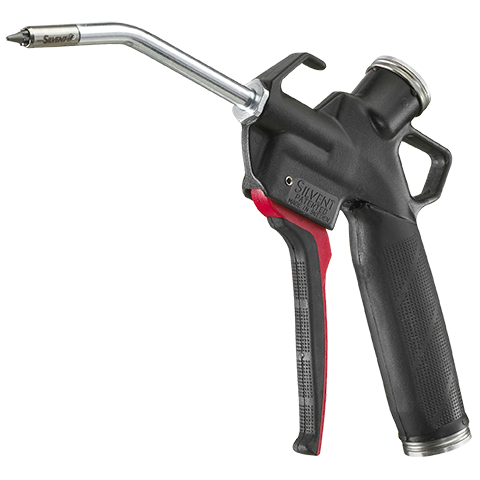 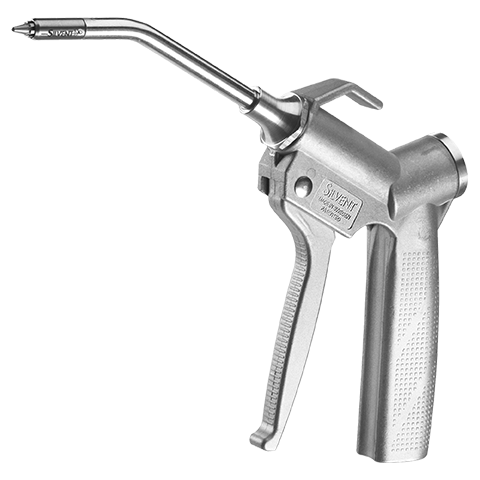 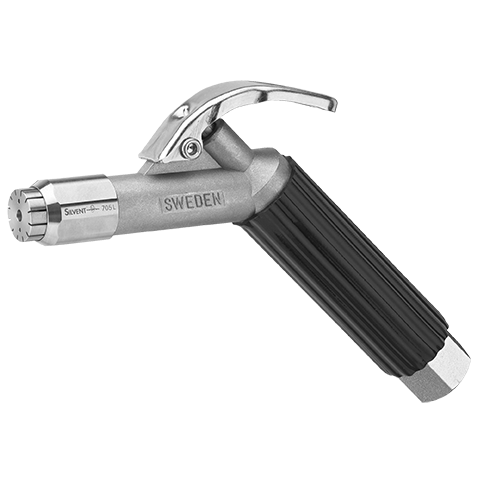 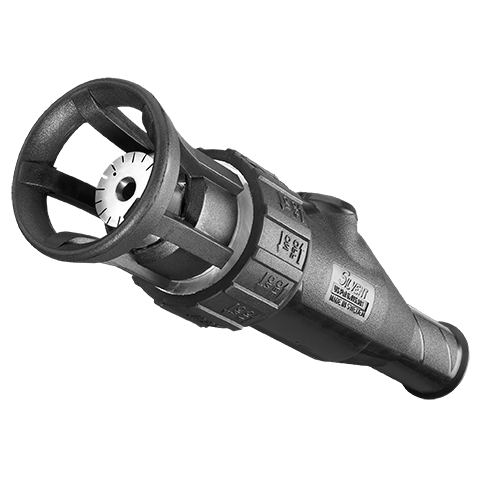 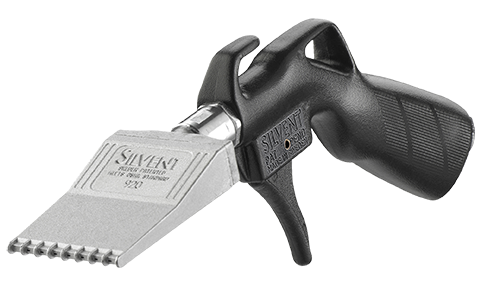 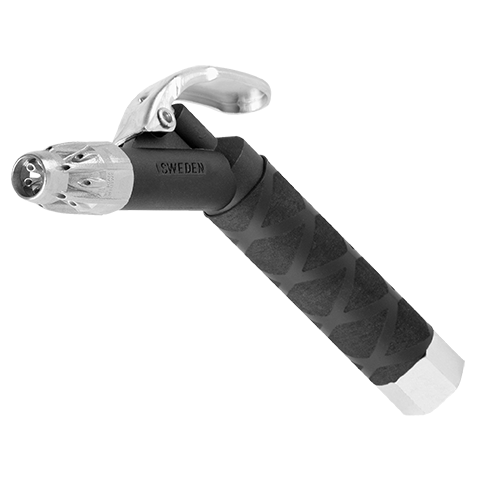 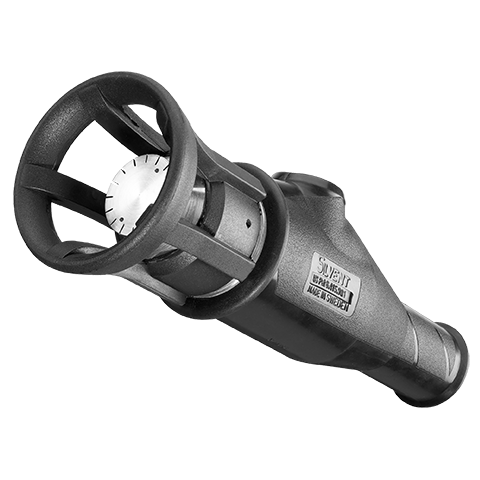 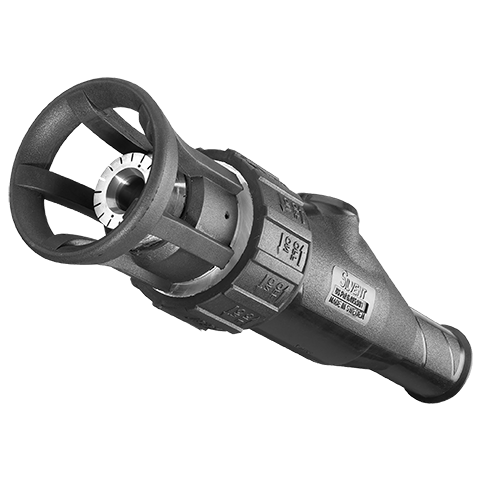 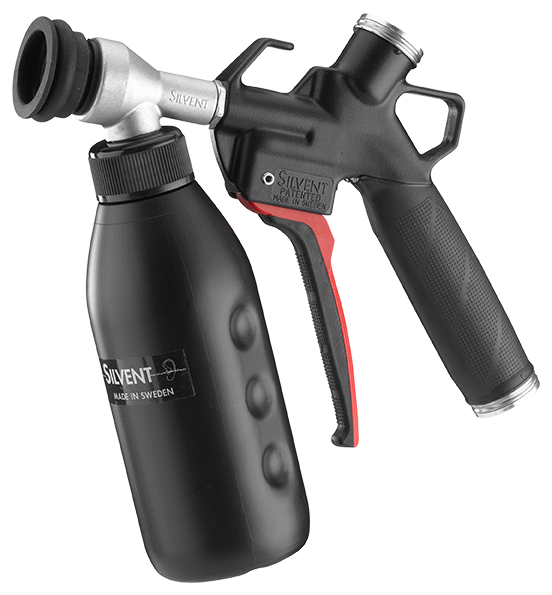 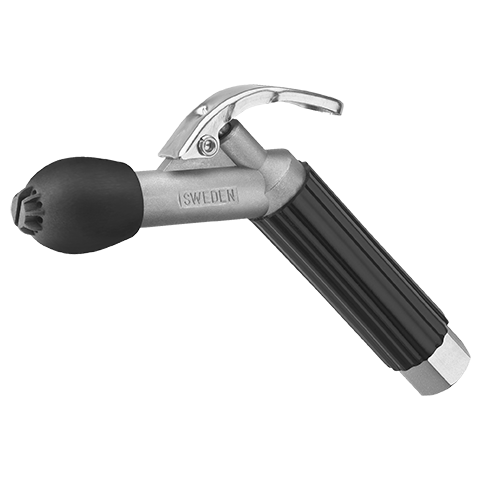 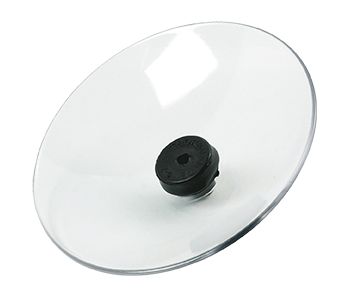 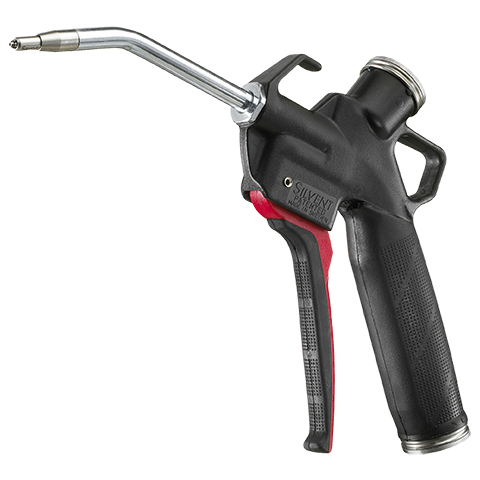 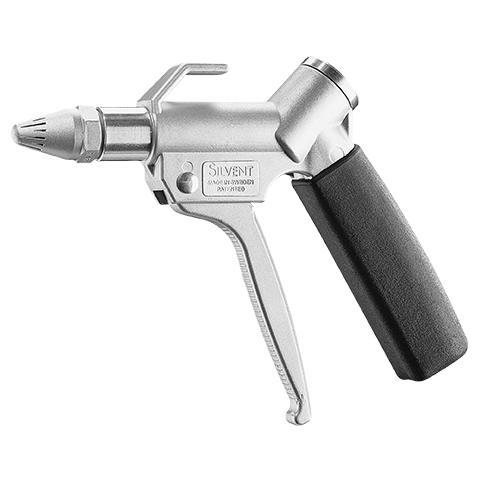 SILVENT 500-S is fitted with a stainless steel nozzle. 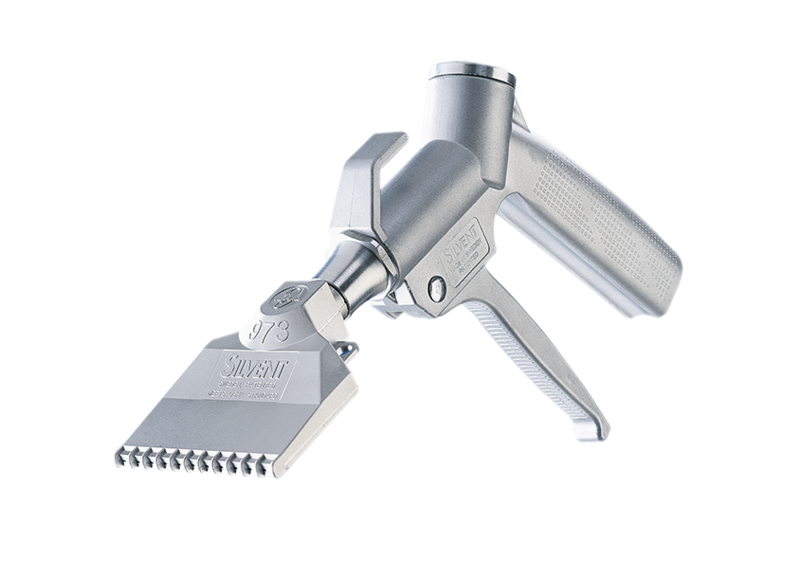 Stainless steel nozzles are most suitable for really tough conditions. 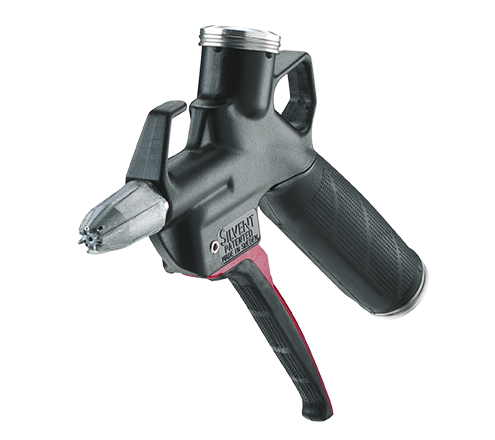 The nozzle’s solid stainless steel tip is built to withstand intensive mechanical wear. 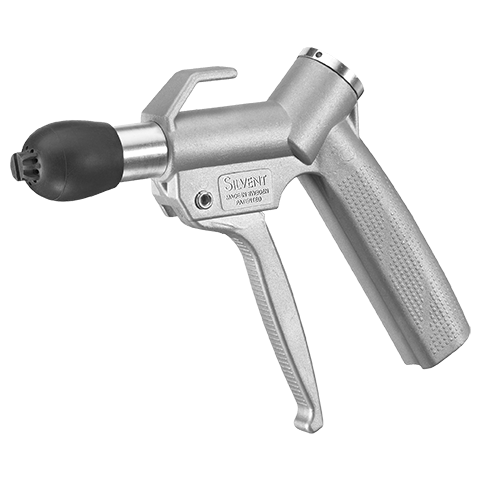 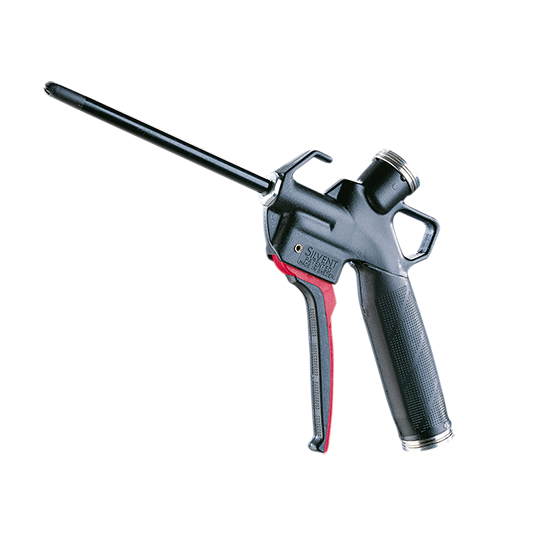 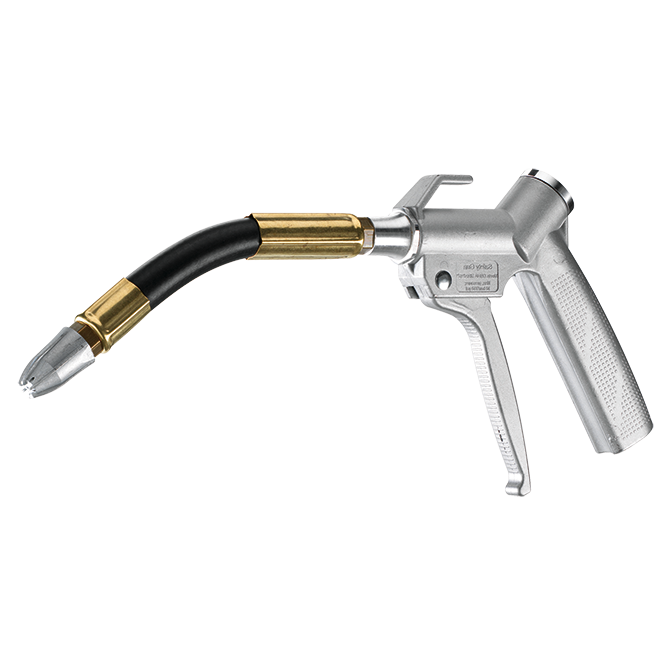 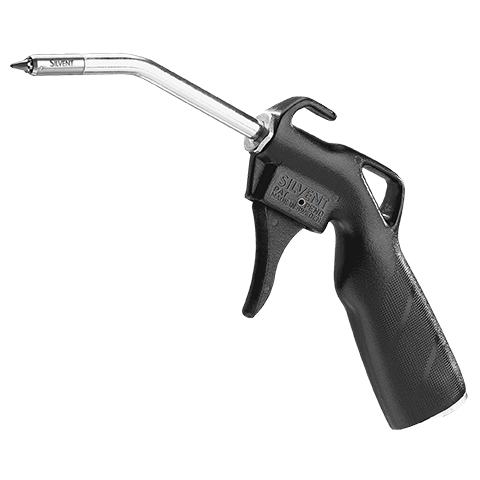 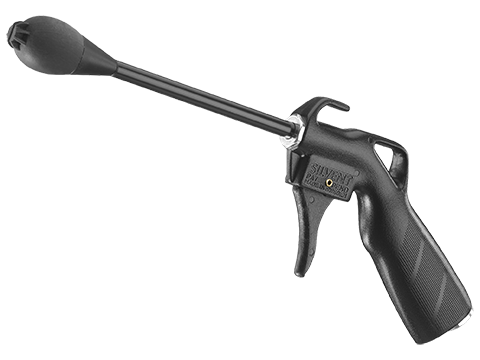 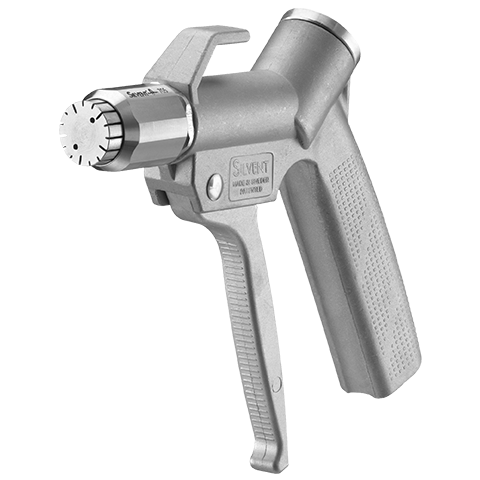 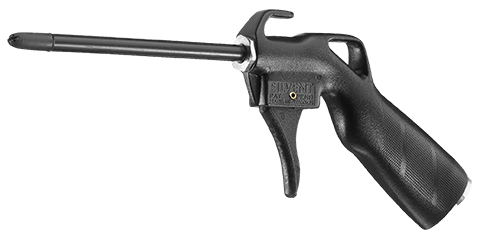 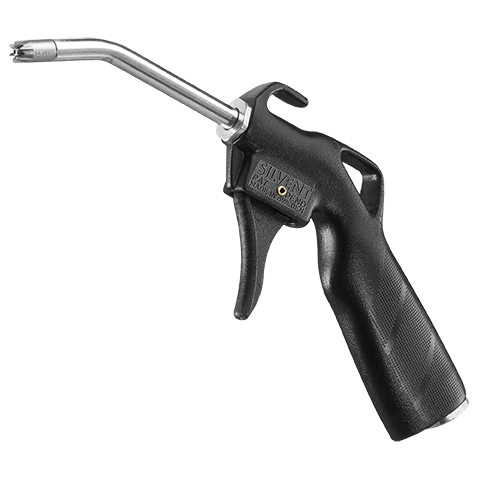 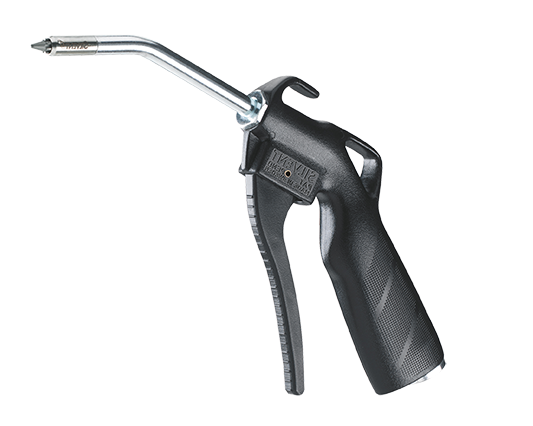 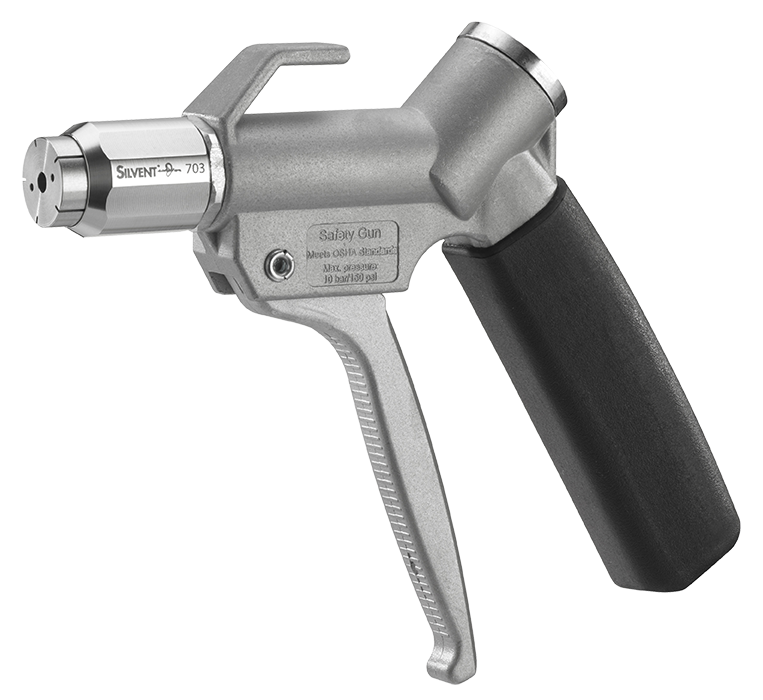 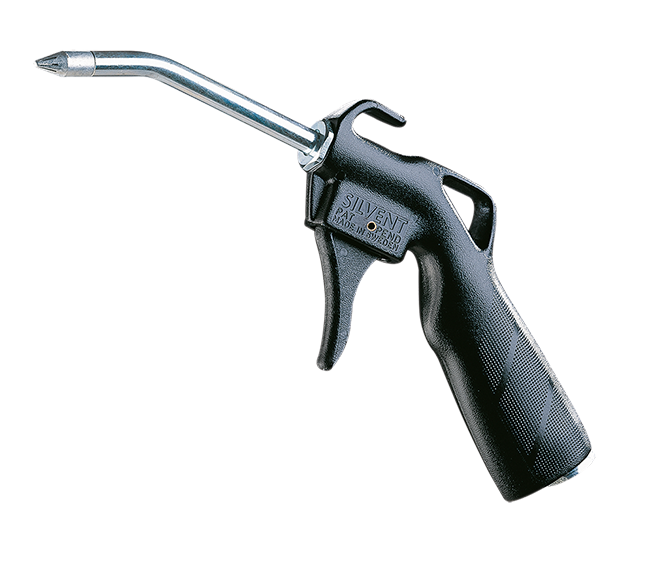 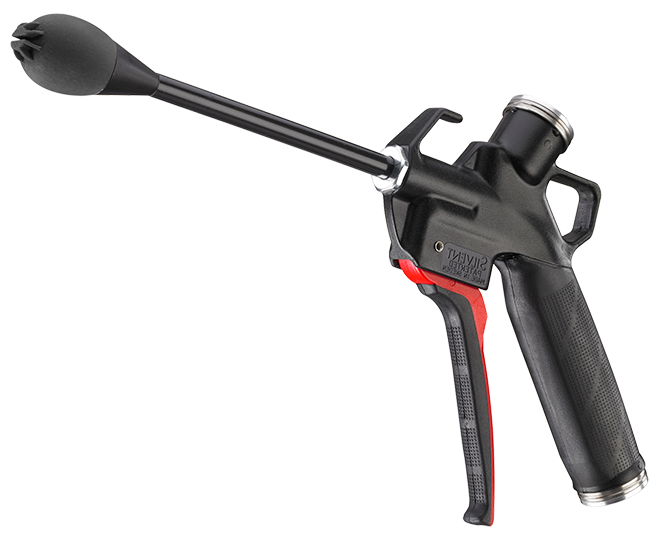 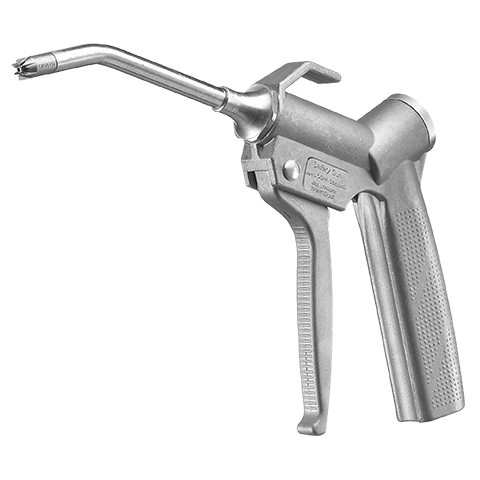 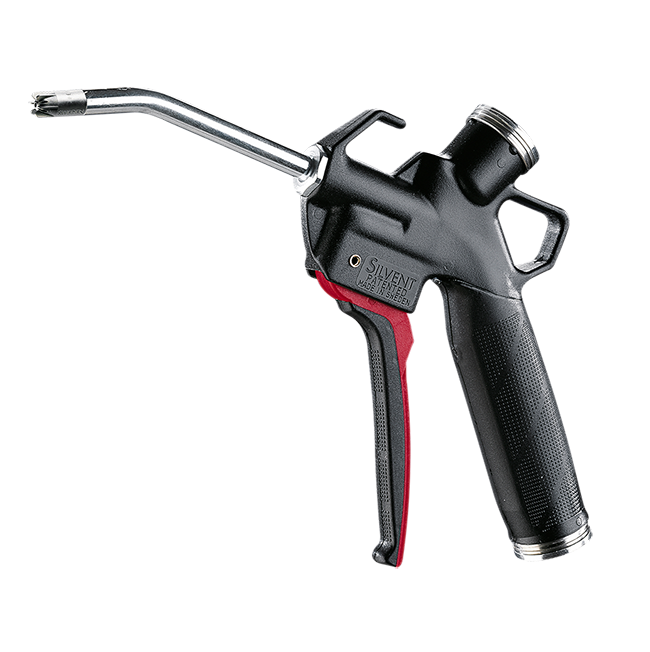 This safety air gun was developed with the user in mind, and it is the result of many years of research. 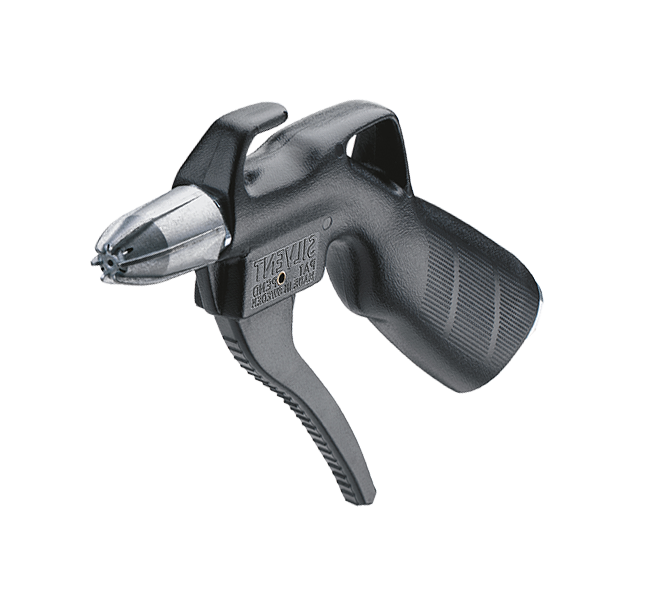 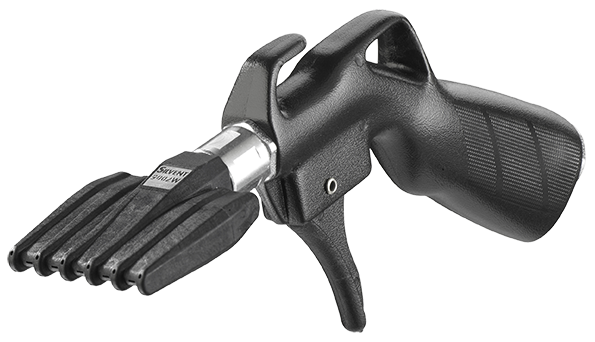 The 500-S is the most ergonomic safety gun on the market today. 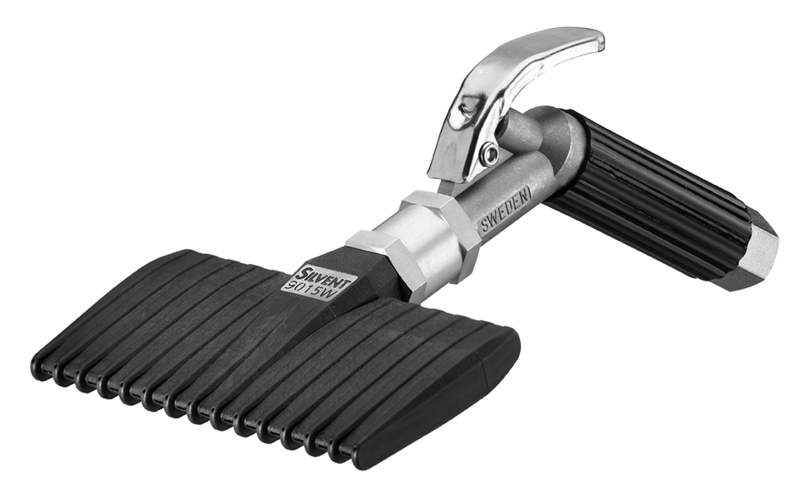 The 500 series is available with six different extension pipe lengths. 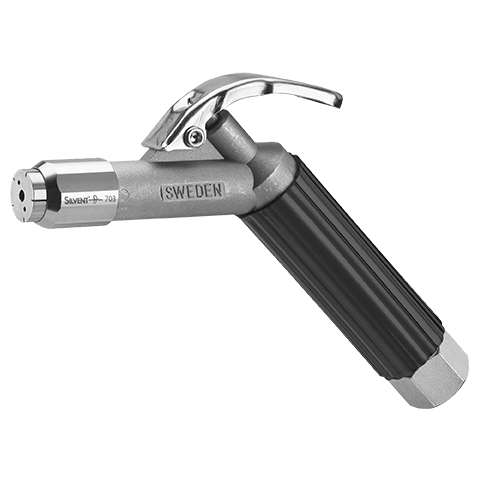 The pipes are made of galvanized steel. 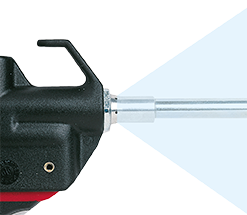 When ordering safety guns with extension pipes that are longer than 100 mm (4"), specify the pipe length last in the order number. 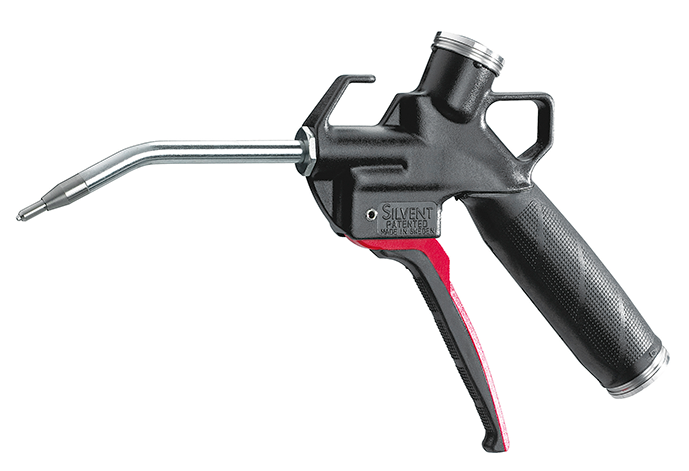 Safety gun-extension pipe length: e.g. 500-S-600.